Made from paper, wood and wire, each butterfly is hand crafted and painted to your exact specifications. The processes involved in making each butterfly can be seen in the slideshow at the bottom of this page. Whichever species or colour combination you have in mind, even a different way you would like the butterfly displayed, please just email for a quote: zack@paperandwood.co.uk (link in the side bar). 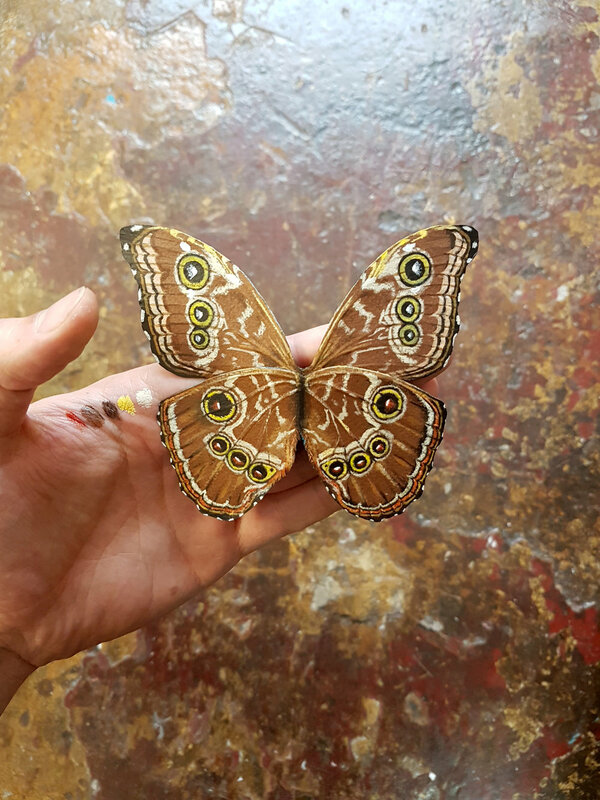 Every butterfly is made as life size unless specified. Each butterfly is displayed in their own Bell jar as pictured. The butterfly is visible from all angles within it's bell jar. Photographs of how each paper butterfly is made from start to finish.